Pokemon HeartGold Version (AKA ポケットモンスター ハートゴールド Pocket Monsters HeartGold in Japan) is a role-playing game (RPG) developed by Game Freak and published by Nintendo for its NDS console in 2009. 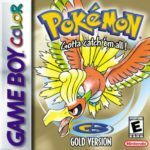 It was released alongside Pokemon SoulSilver Version and is the remake of Game Boy Color Pokemon Gold Version. 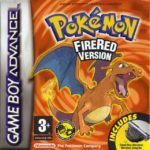 Set in the Johto region, the gameplay is similar to all the other Pokemon games in the franchise. It stays to be the game well-known for strategy and exploration. As the chief catchphrase says, catching different Pokemon and “be the best that no one ever was” is also another goal. An additional feature of Pokemon HeartGold Version is the Pokewalker accessory. It is an extra gadget similar looking to the Tamagotchi. It encourages players to exercise and walk around in real life since the gadget has a built-in pedometer. In exchange for walking around, it could be used to level up the chosen Pokemon by gaining experience and gathering watts. In relation to this, any Pokemon can be chosen to “walk” beside you inside the Pokewalker. The chosen Pokemon is placed outside of their pokeball, just like Pikachu in Pokemon Yellow. 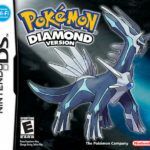 Pokemon HeartGold Version has access to all Pokemon from other games – Red, Blue, Diamond, Pearl, and Platinum. Meaning, you can have a legendary Pokemon walking beside you. 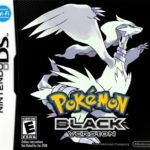 Ready to play Pokemon HeartGold Version online? The game also has mini-games which are stylus-based, utilizing the touchscreen capability of NDS. There is also online connectivity where you can trade with other players or battle them. 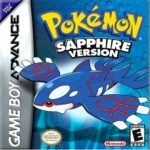 Even though Pokemon HeartGold Version is just a remake of famous Pokemon GBA games, it doesn’t make it a lesser game. In its own way, it proves to be the classic, addictive game that RPG players grew to love over the years.